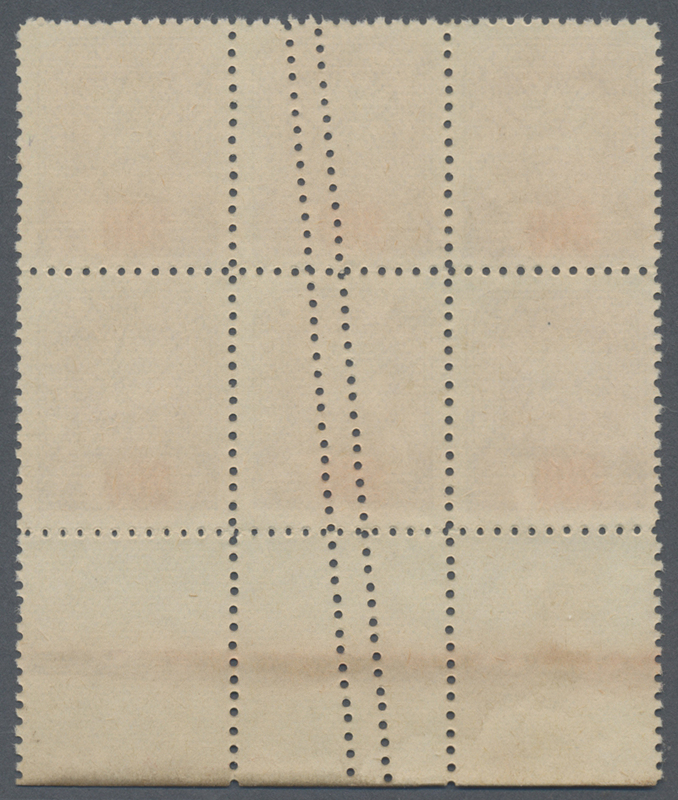 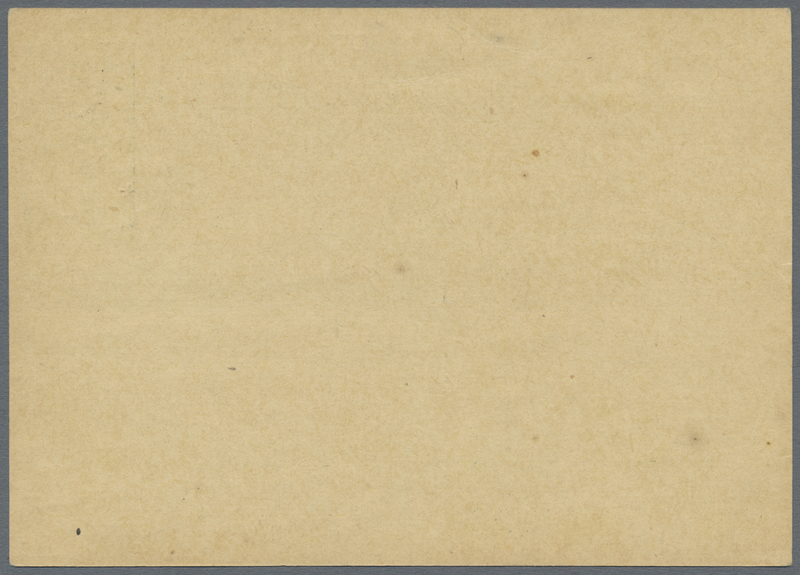 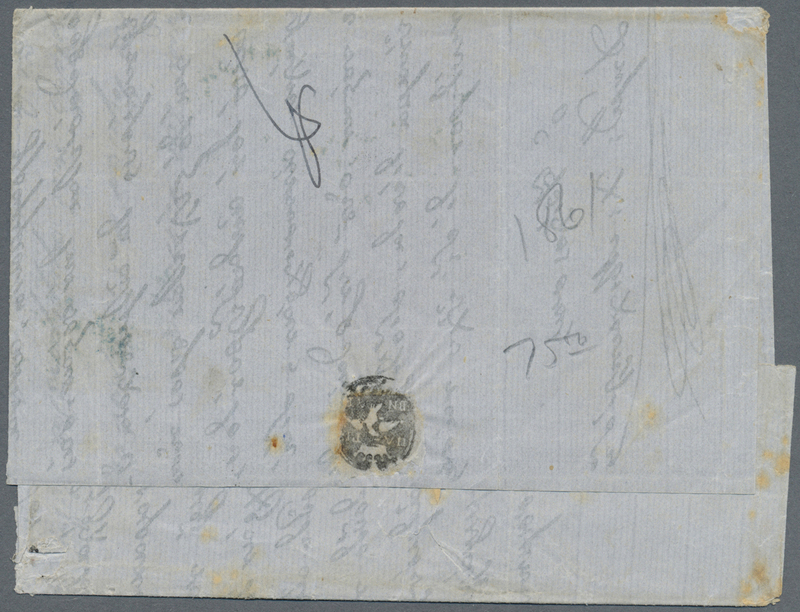 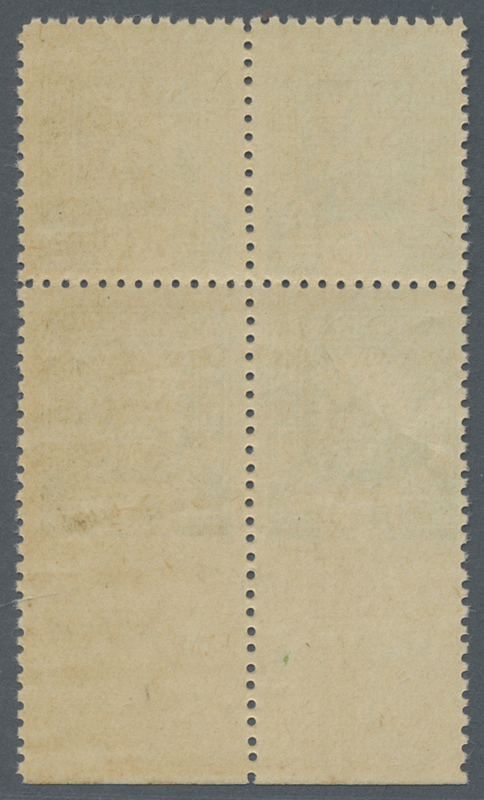 17664 ungebraucht (hinged) * postfrisch (never hinged) ** 1935, King Peter II. 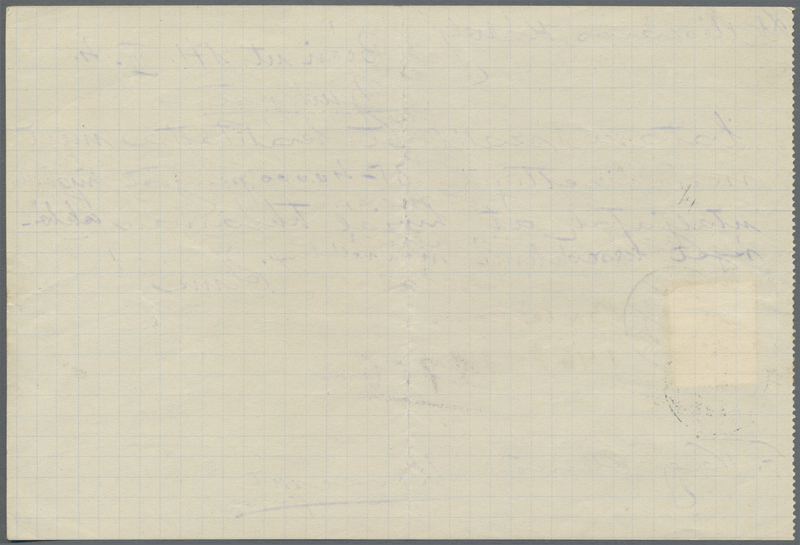 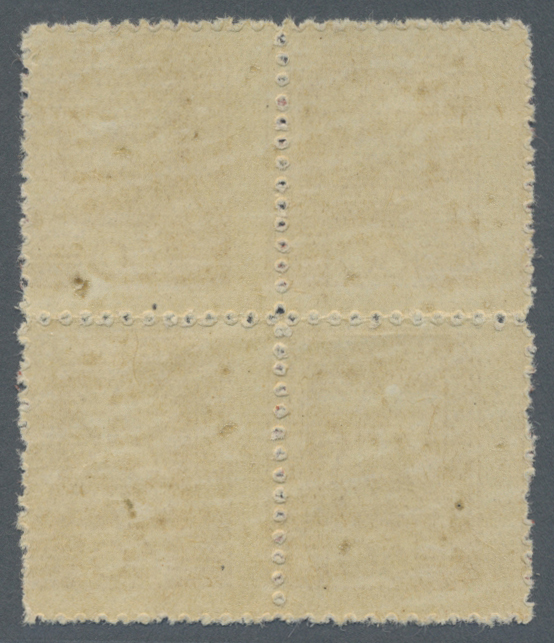 Essays, 1D in nine different colours, Perf L11, chalky surfaced paper, depicting the young king in "Sokol" uniform, prepared by a German portrait artist (HFD Handbook - "Priruchnik" - No. 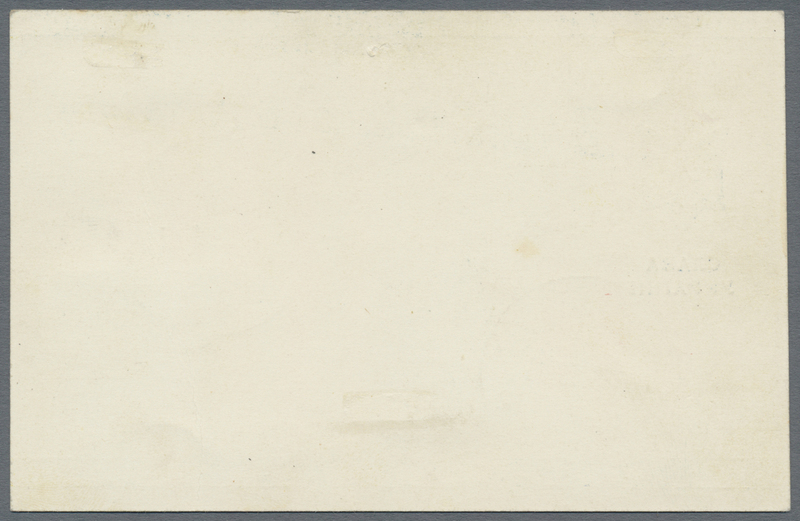 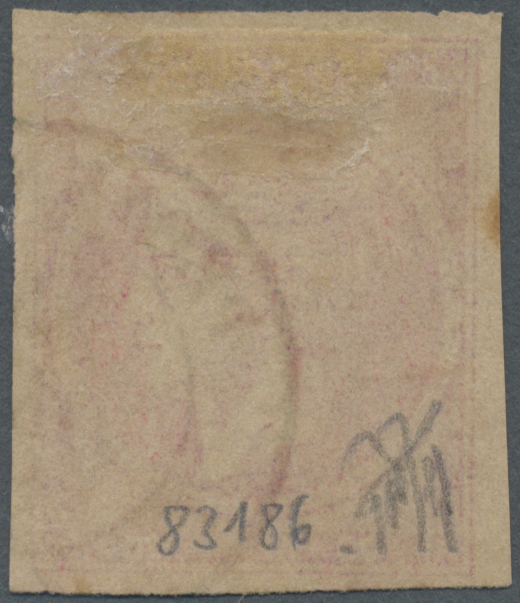 8, p.239, illustrated Fig. 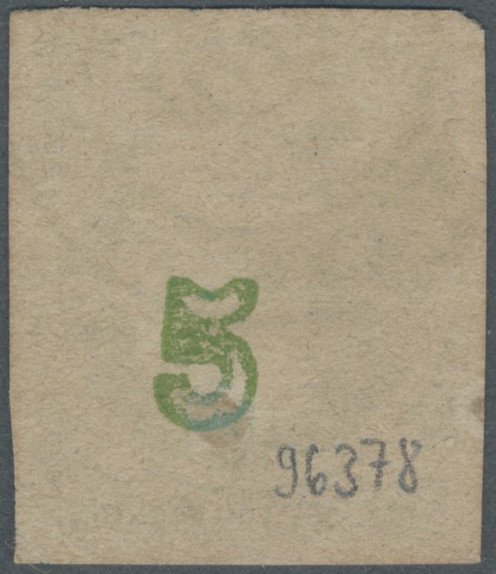 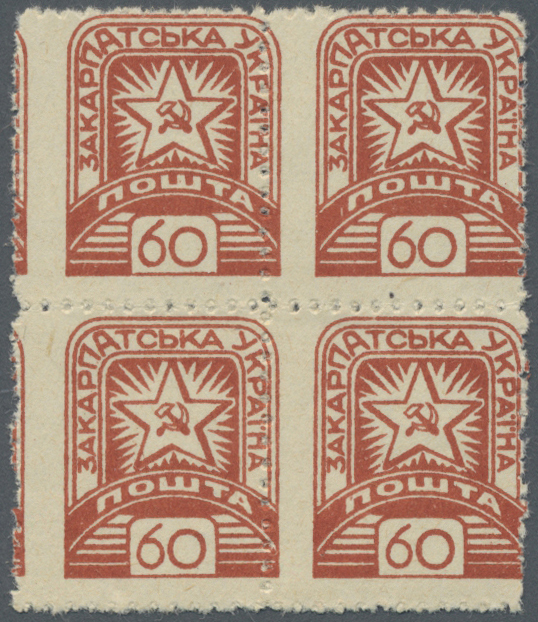 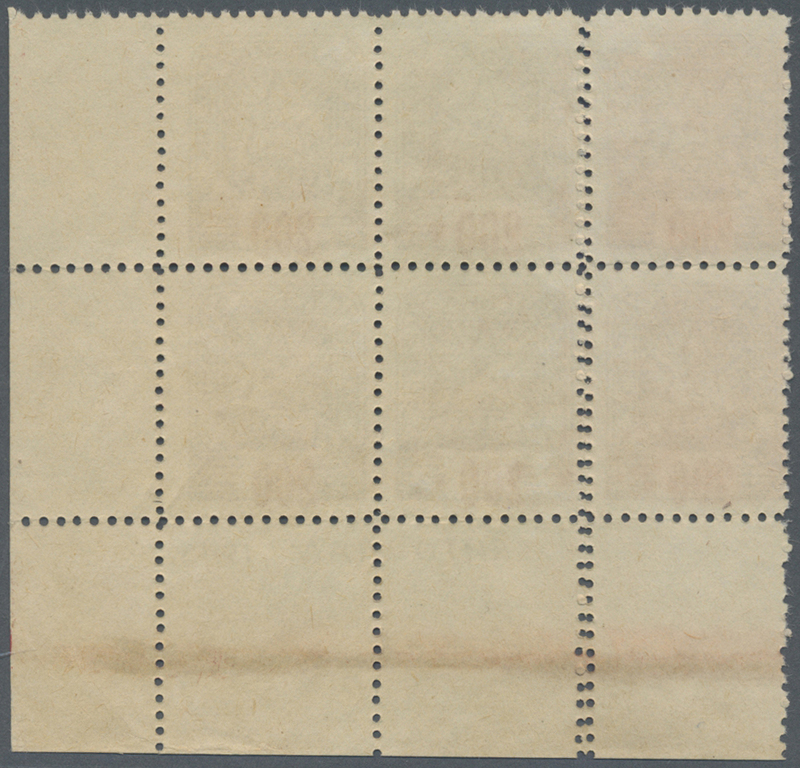 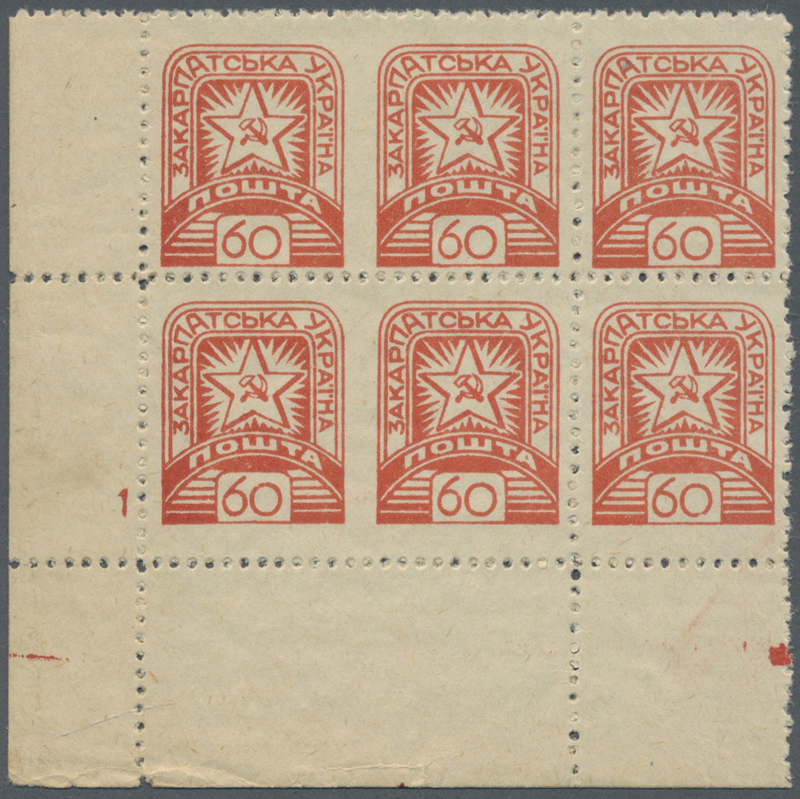 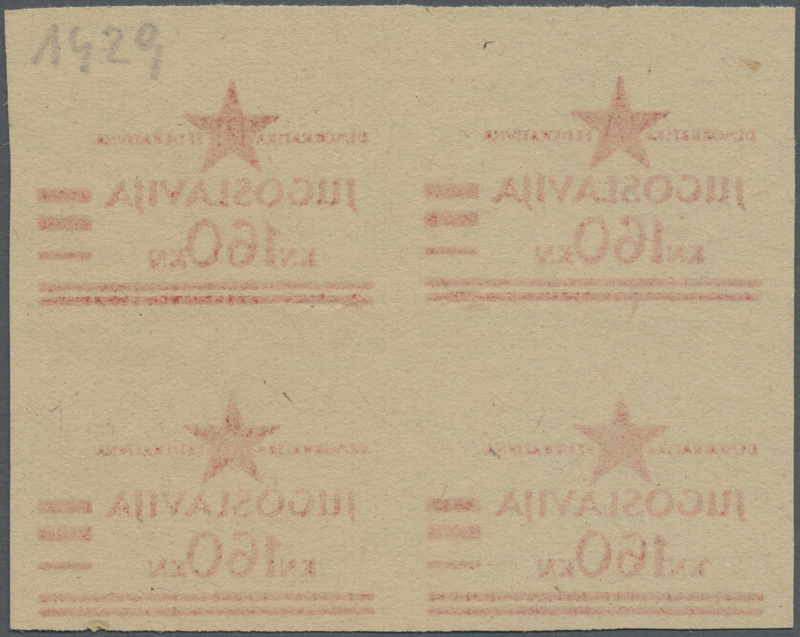 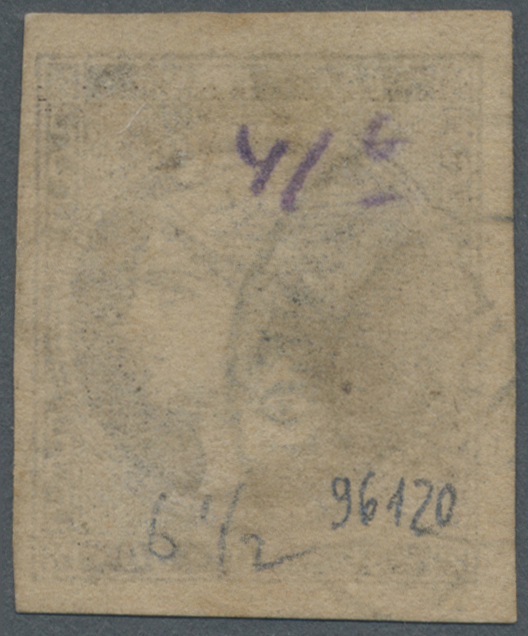 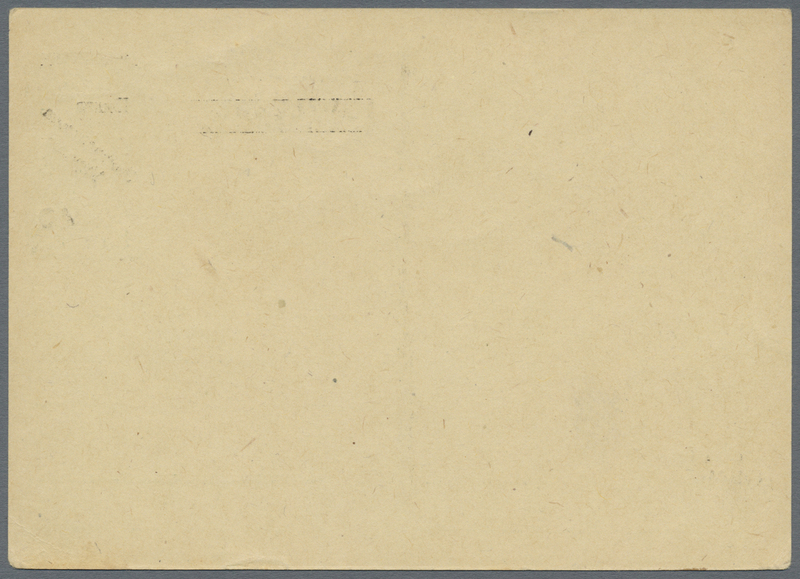 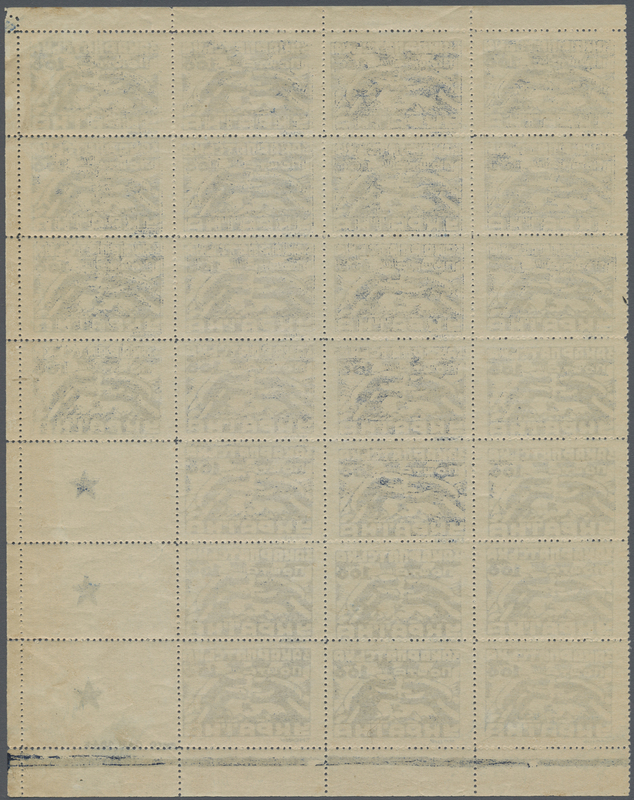 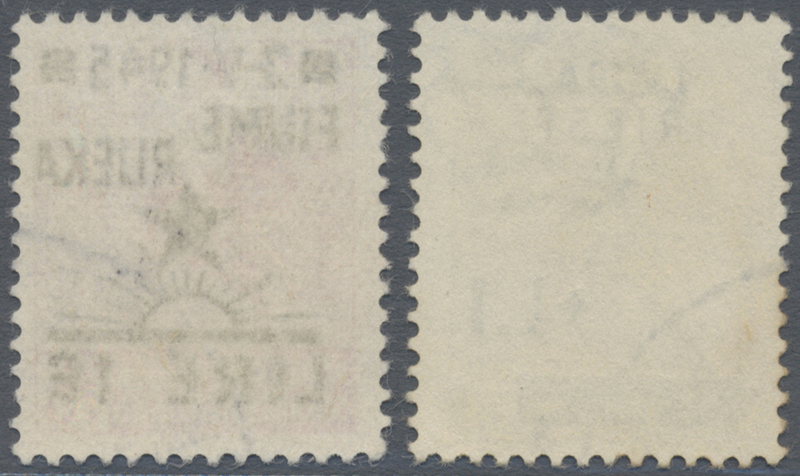 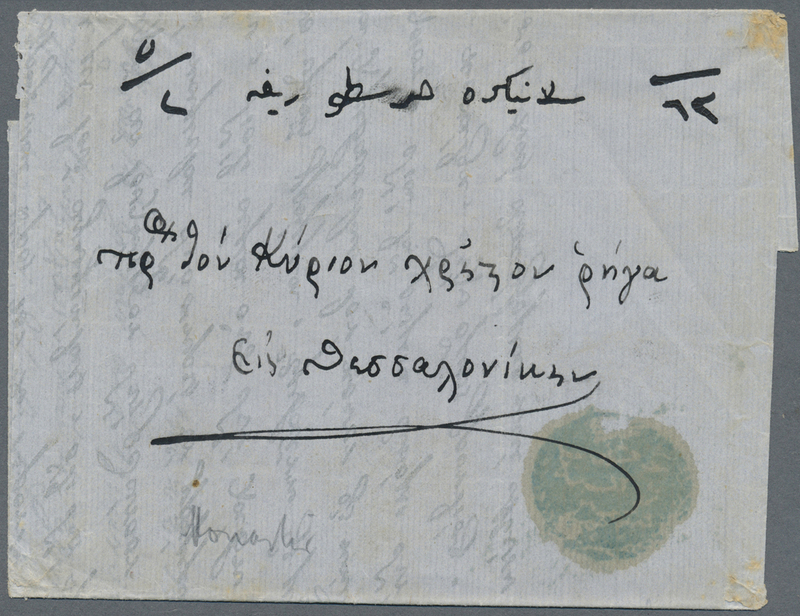 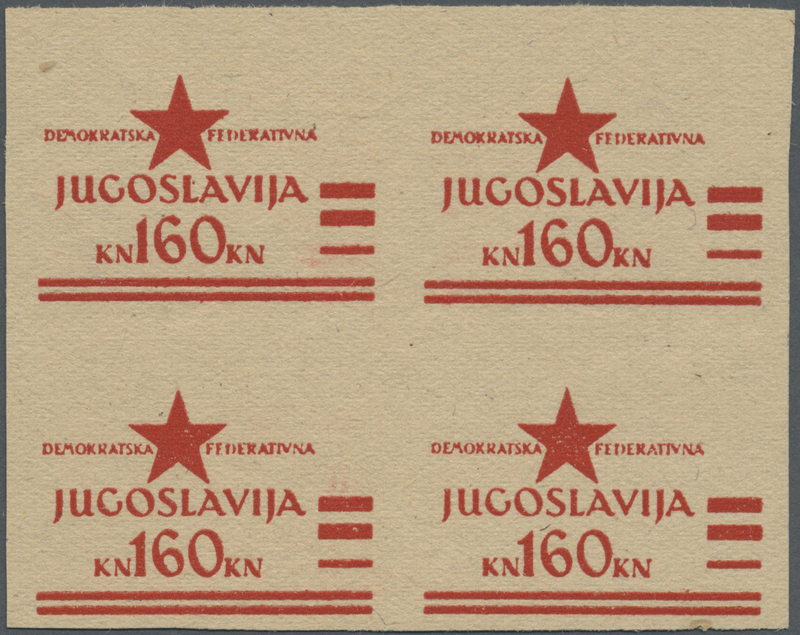 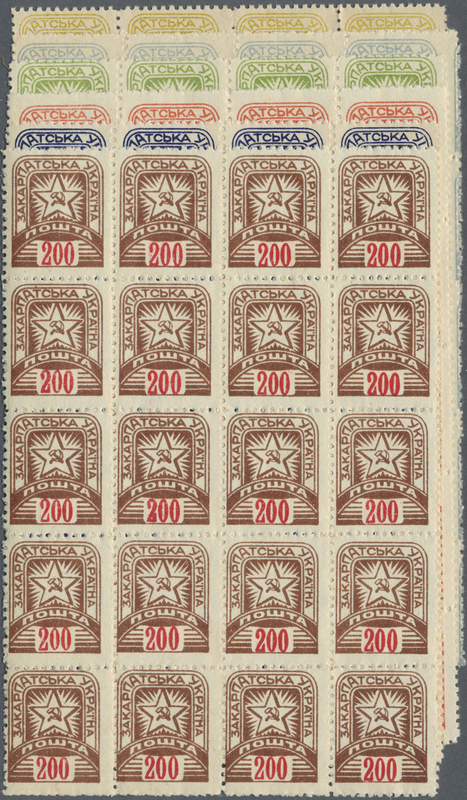 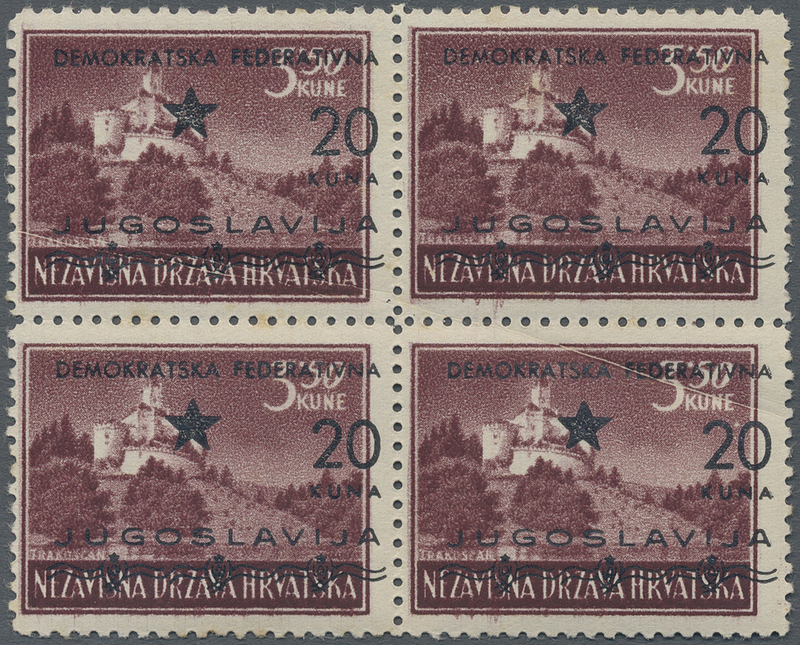 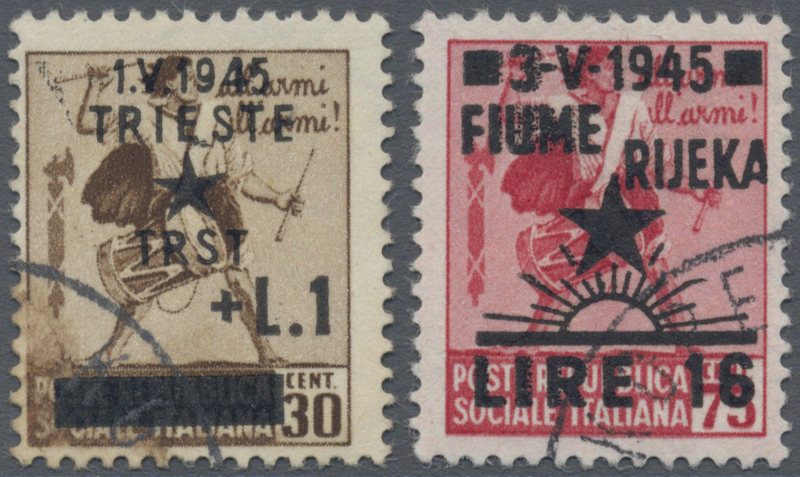 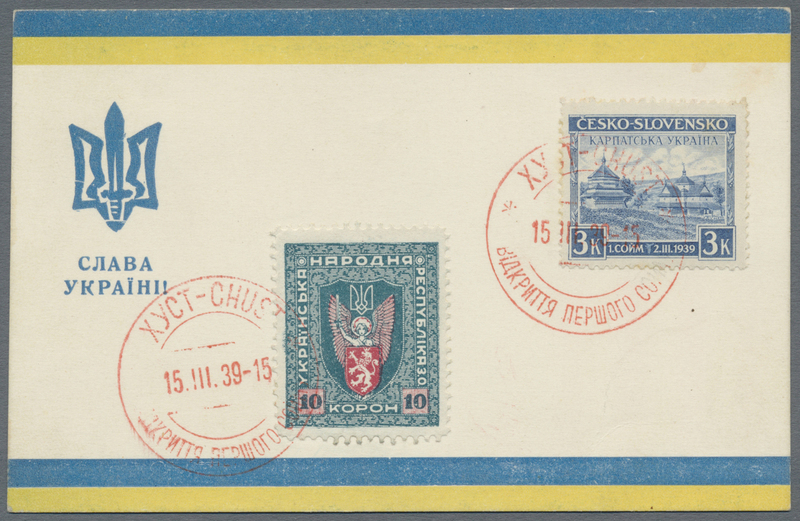 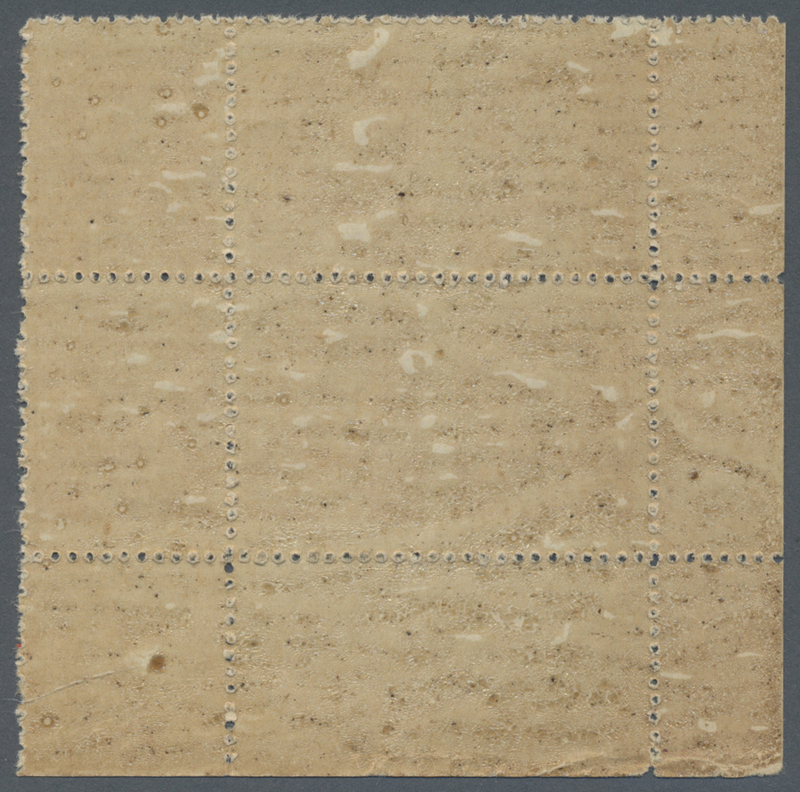 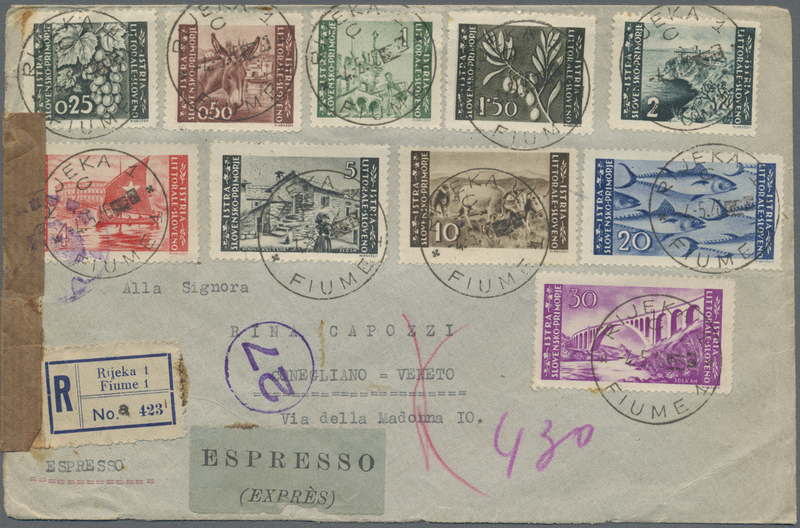 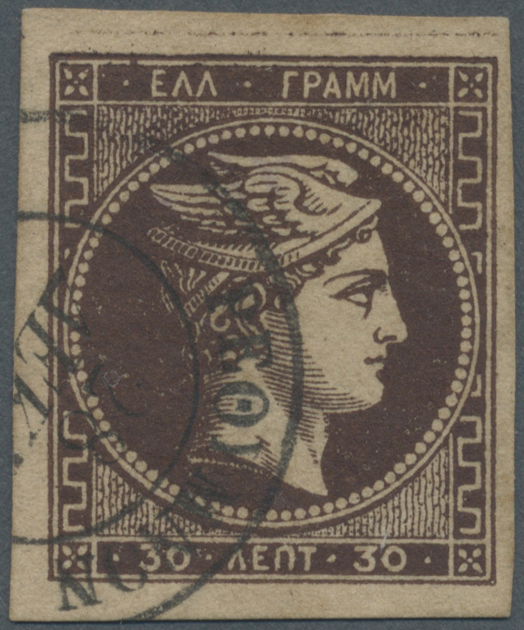 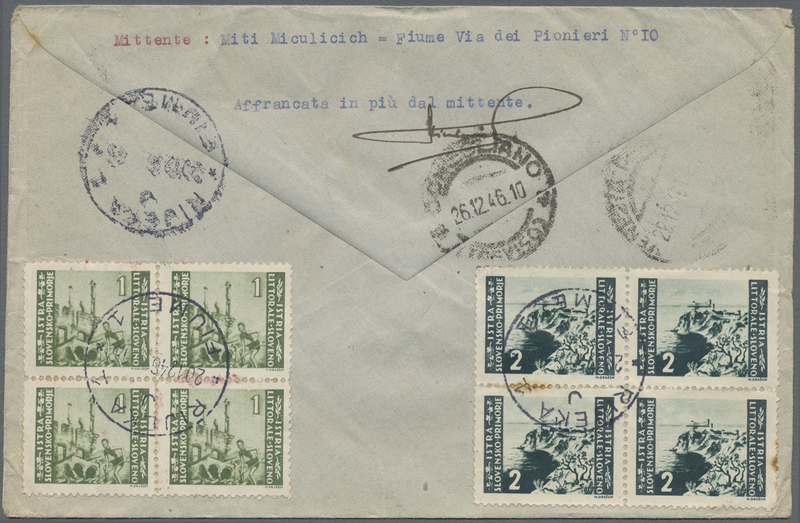 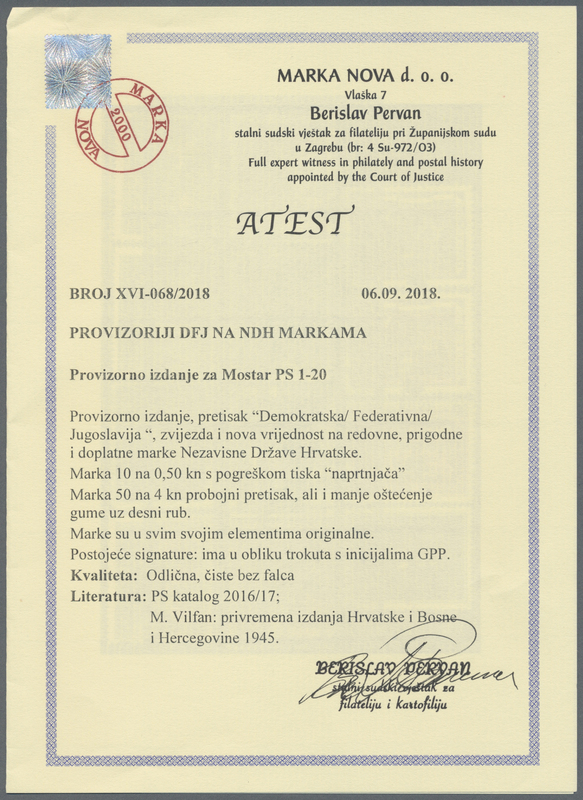 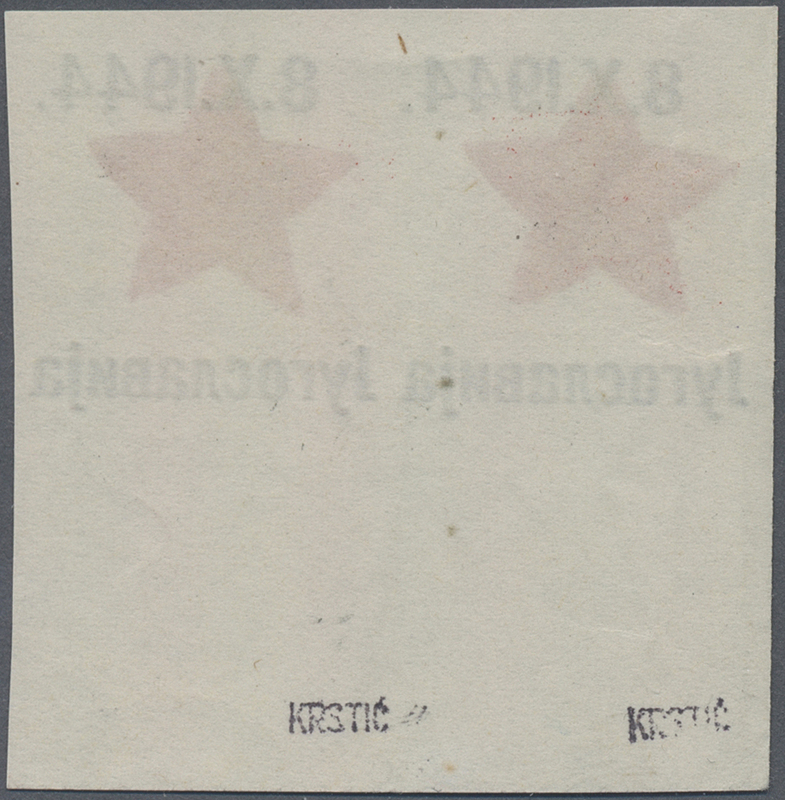 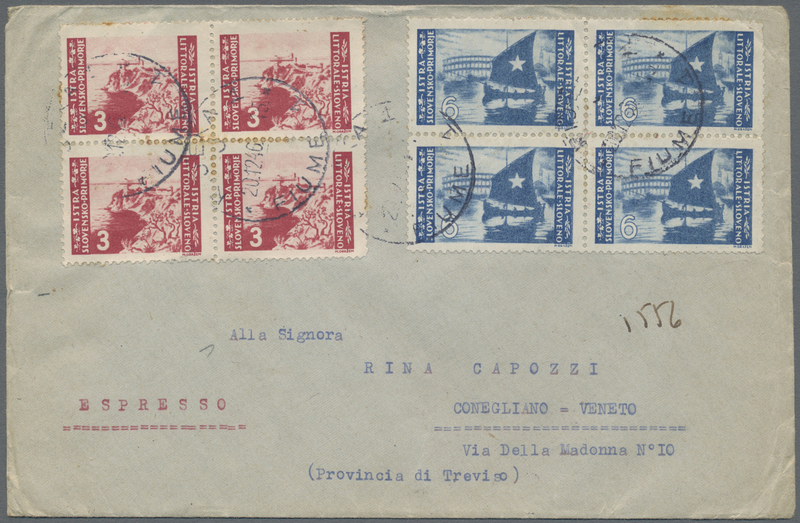 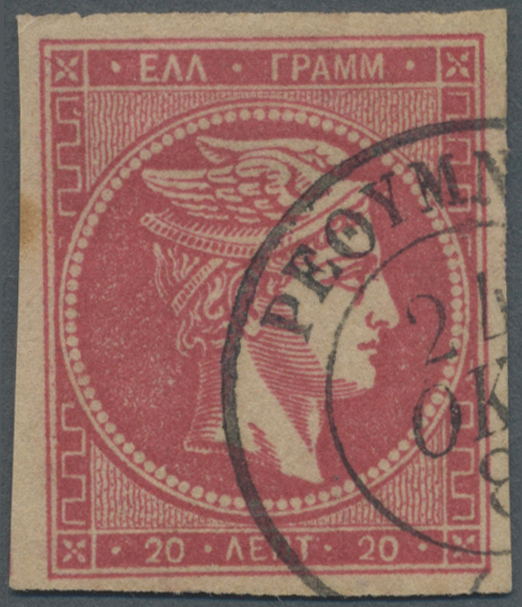 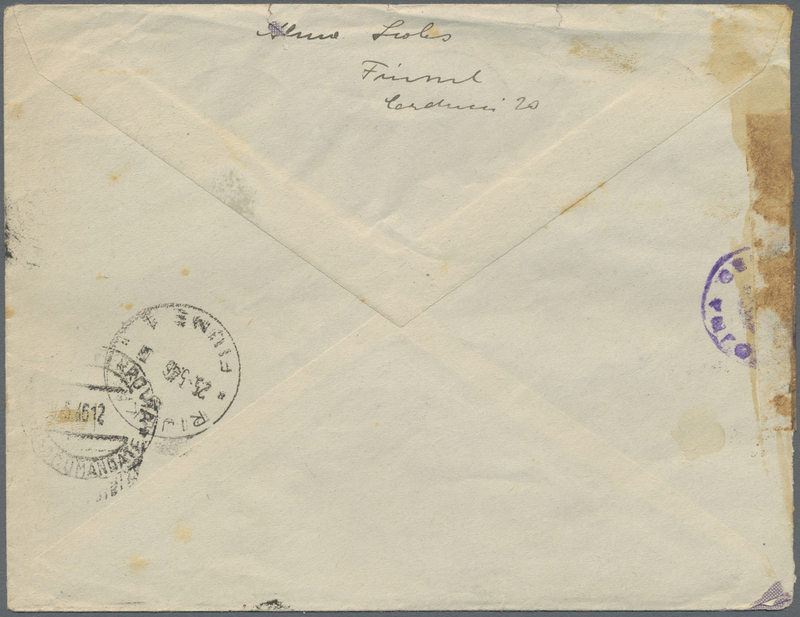 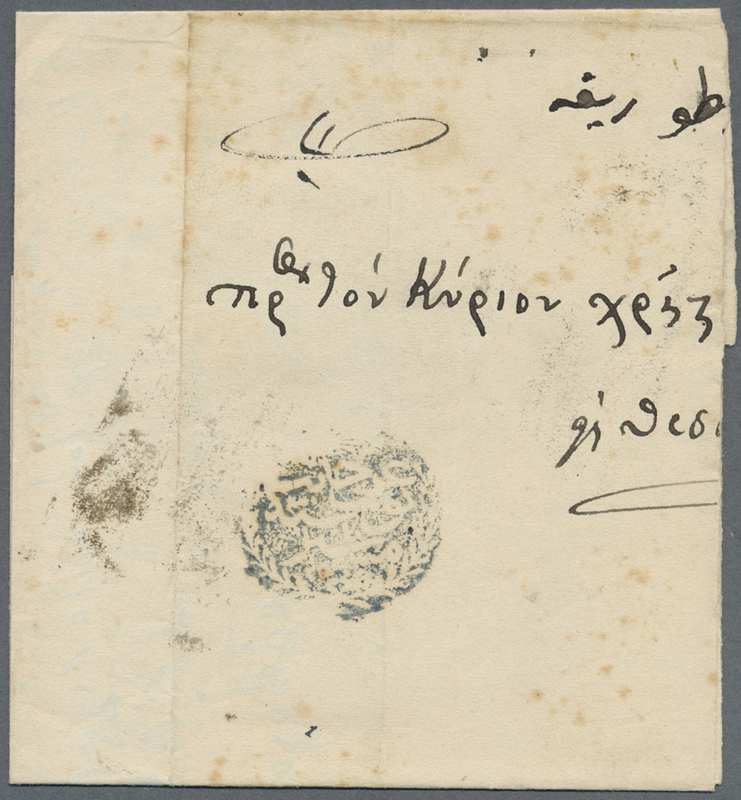 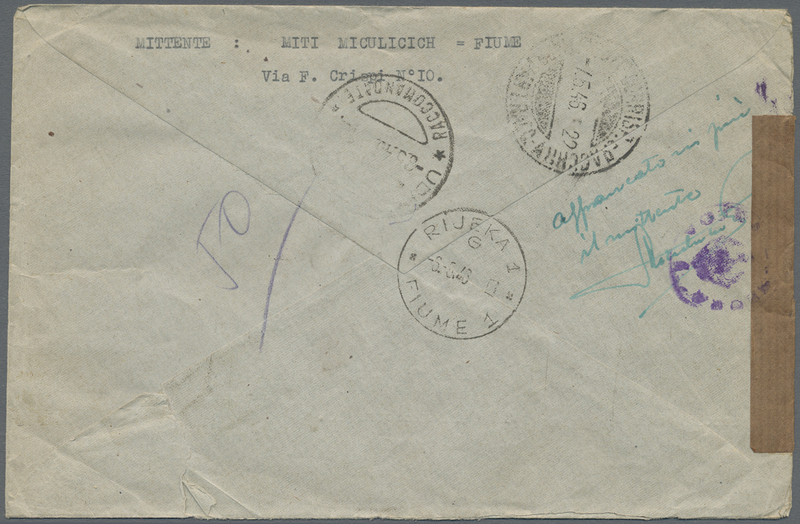 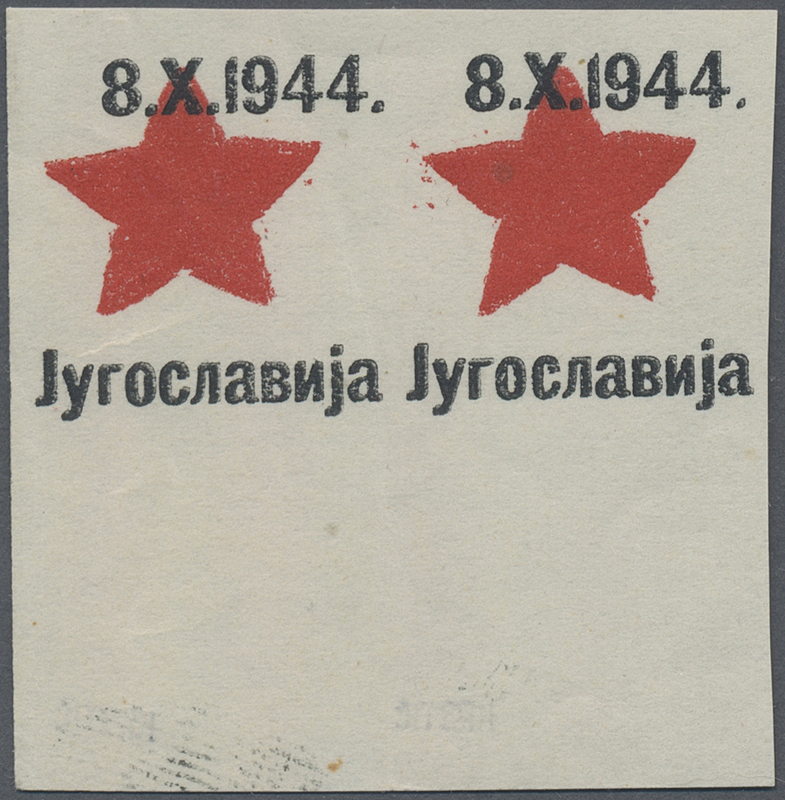 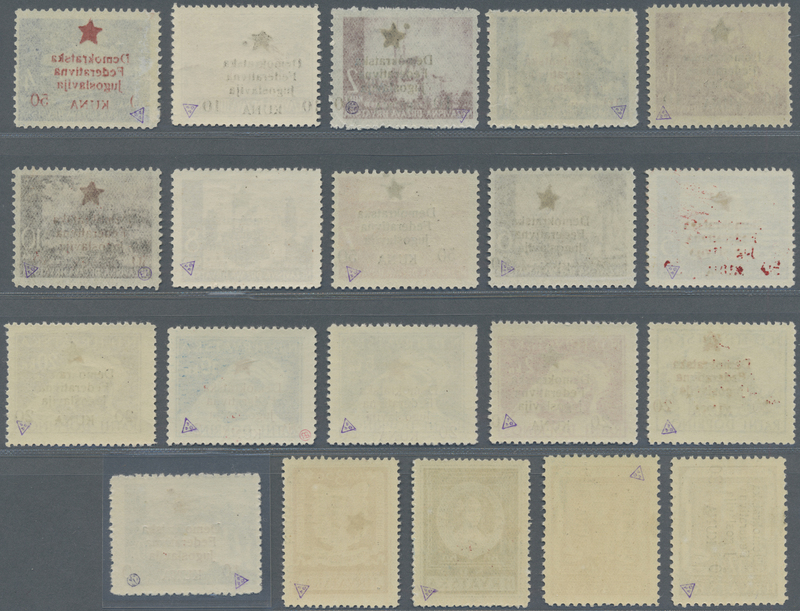 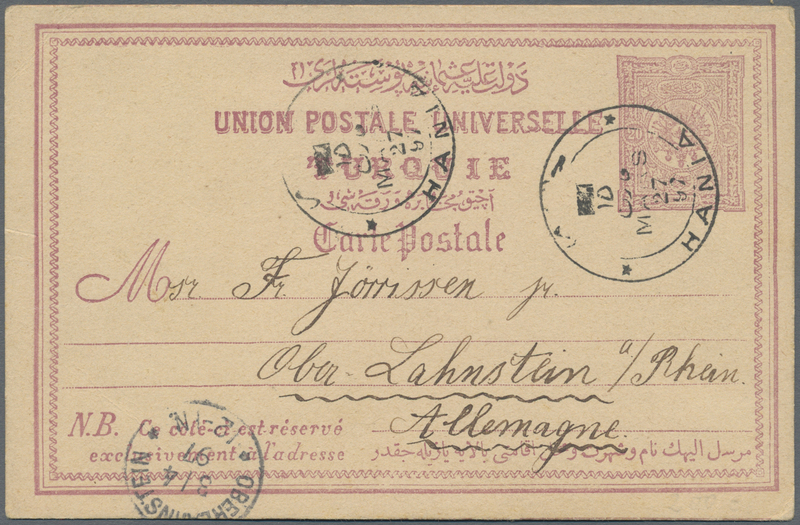 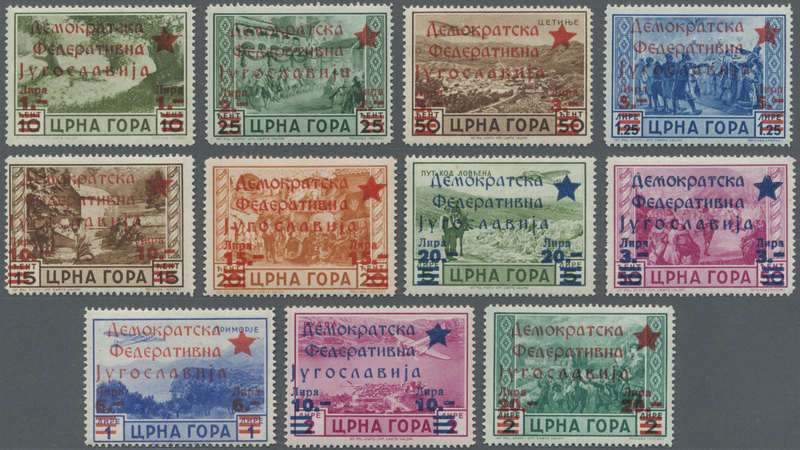 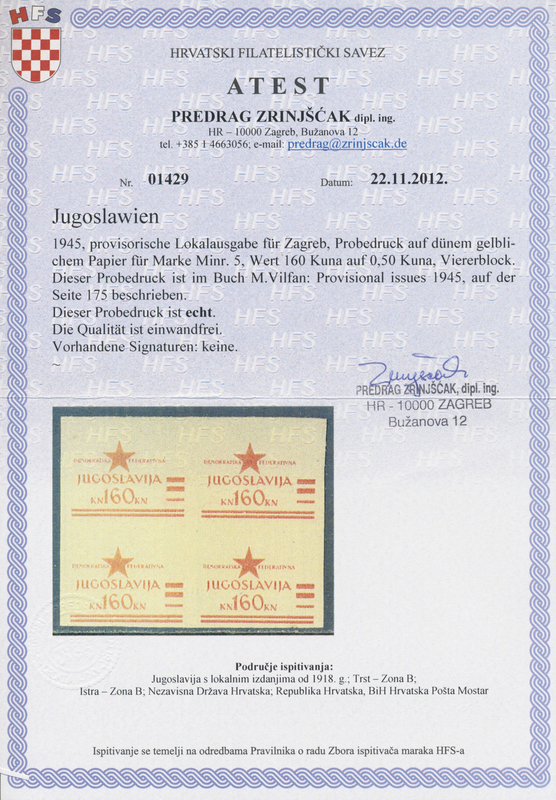 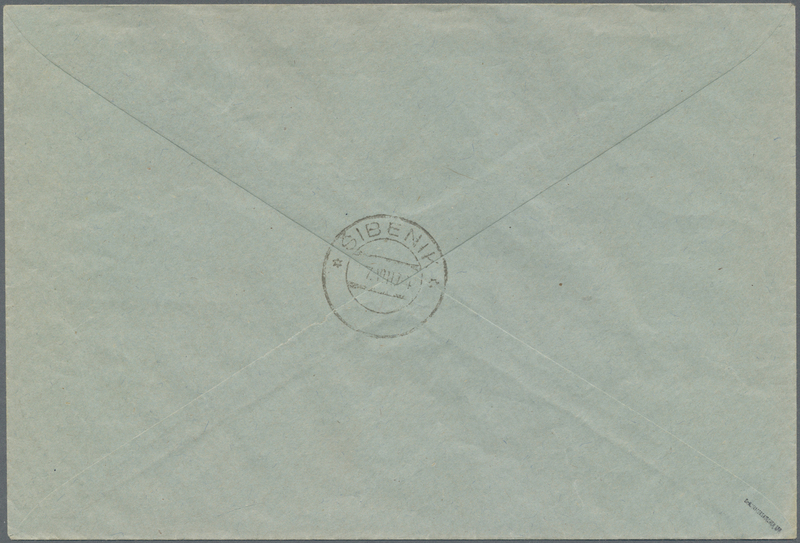 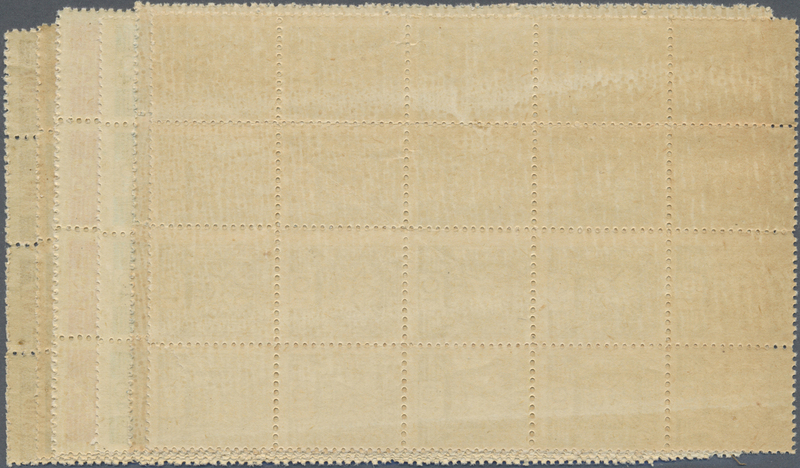 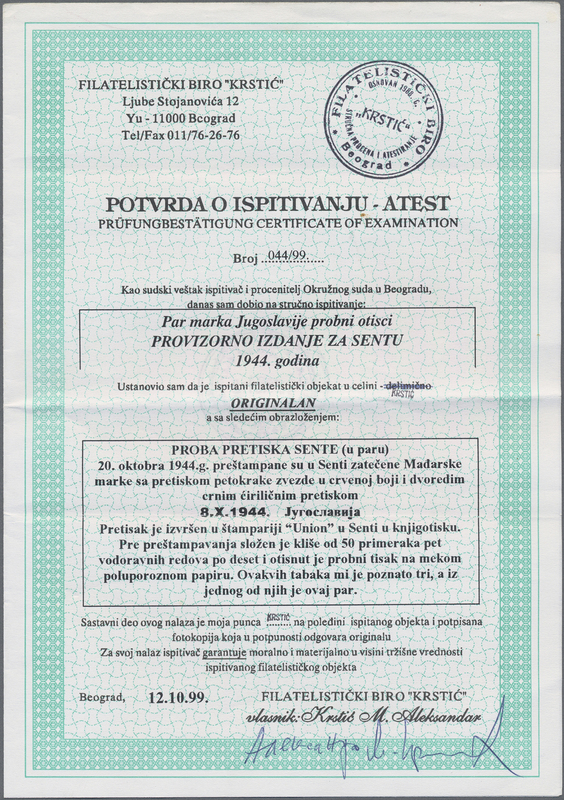 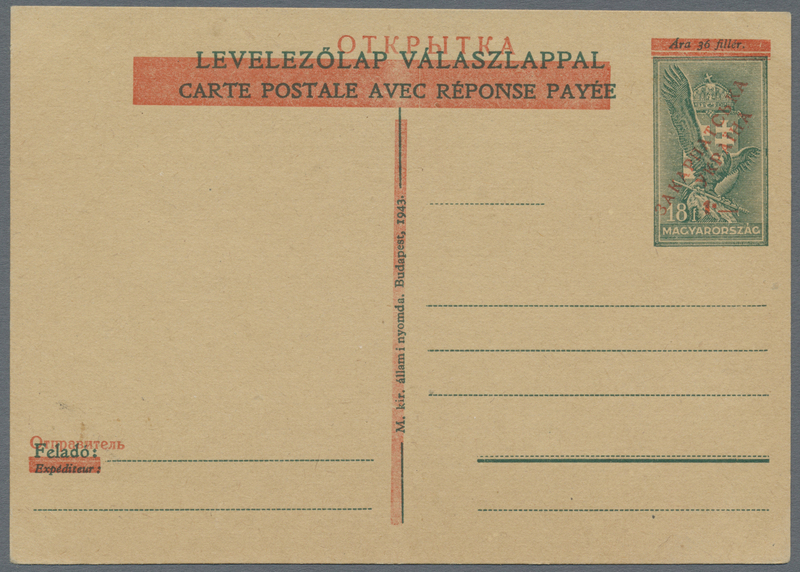 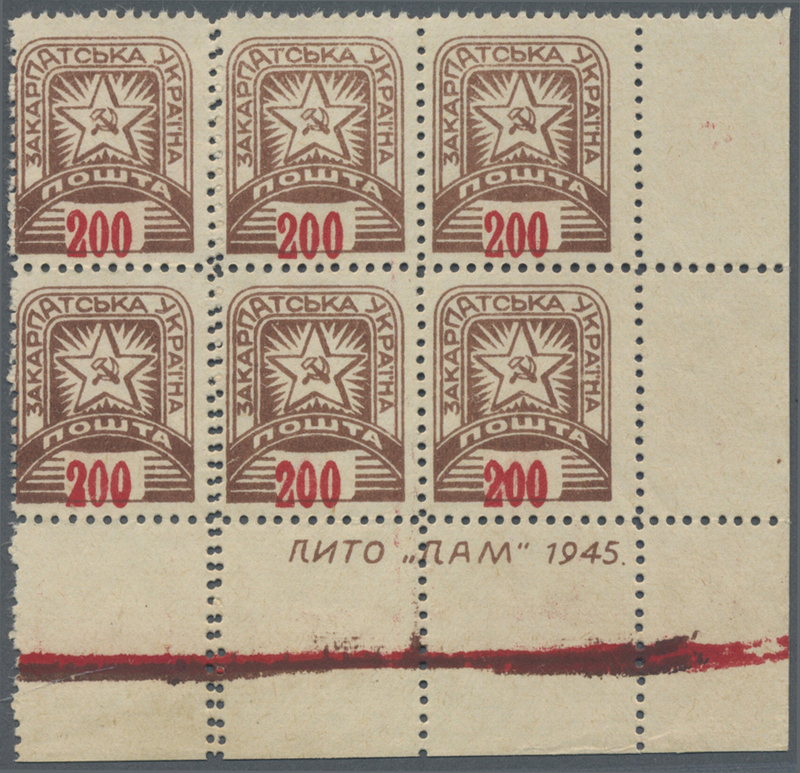 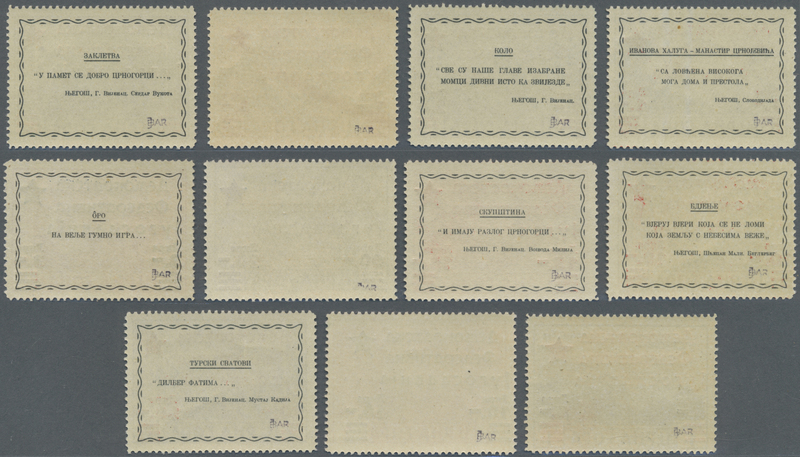 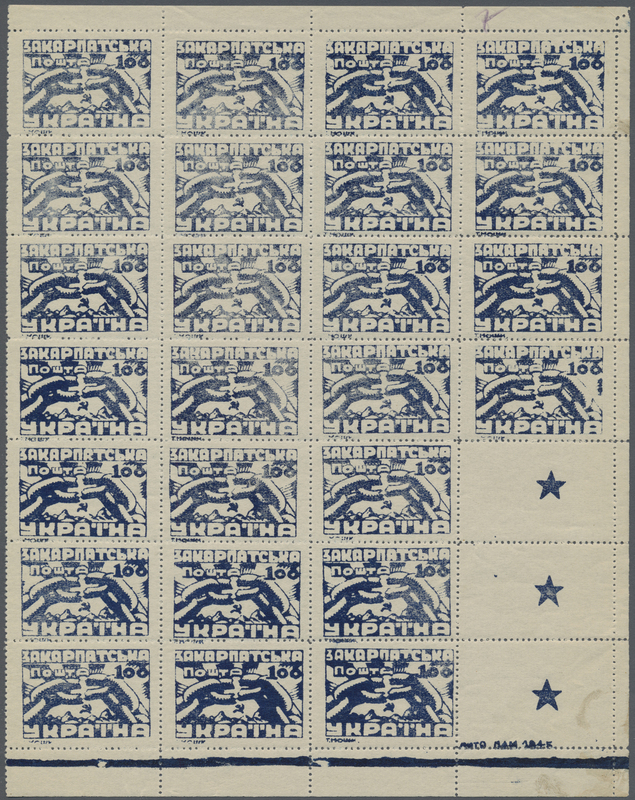 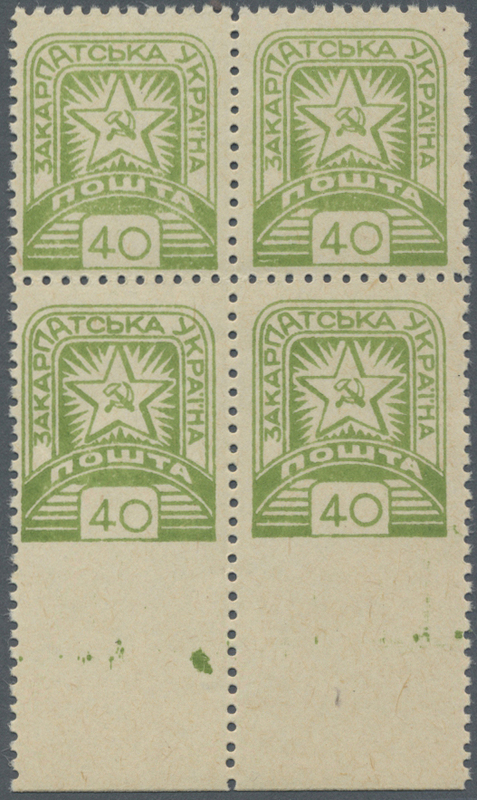 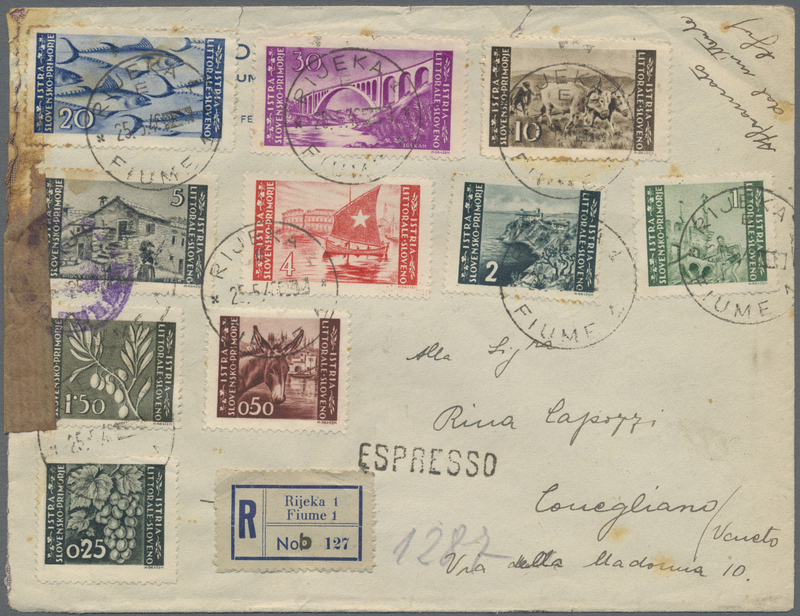 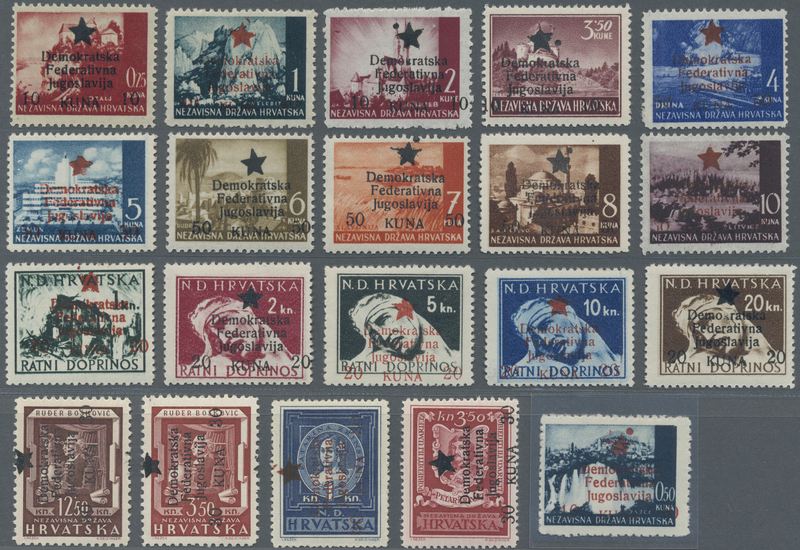 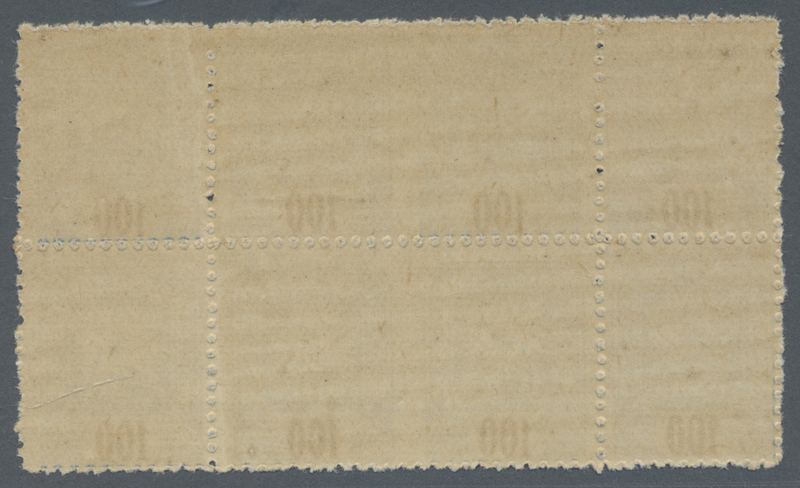 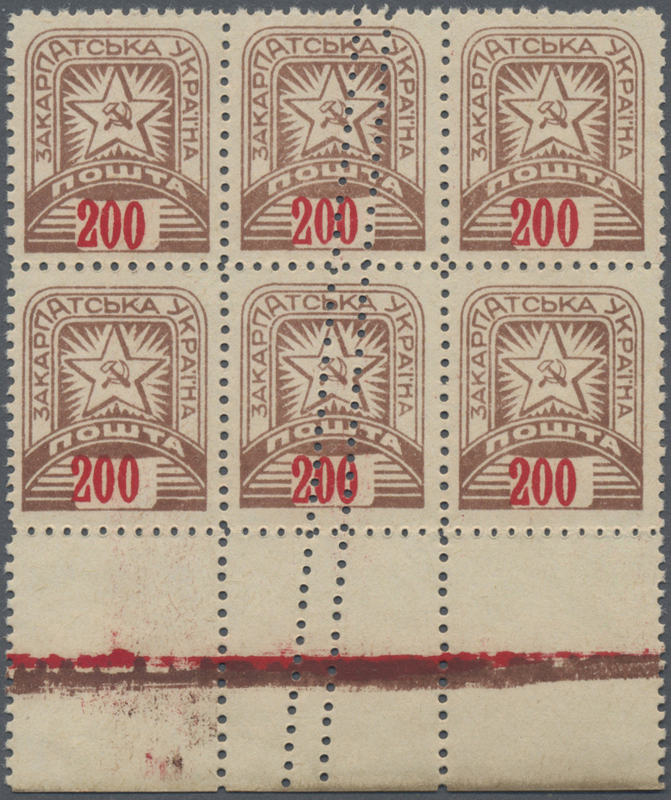 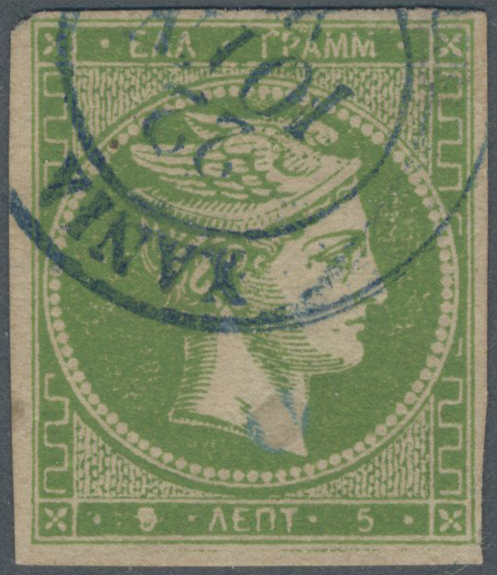 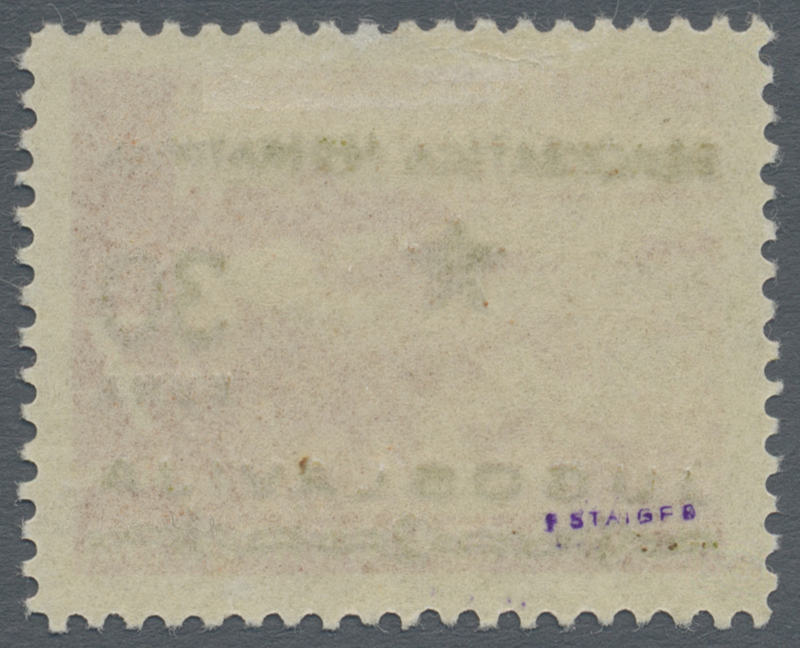 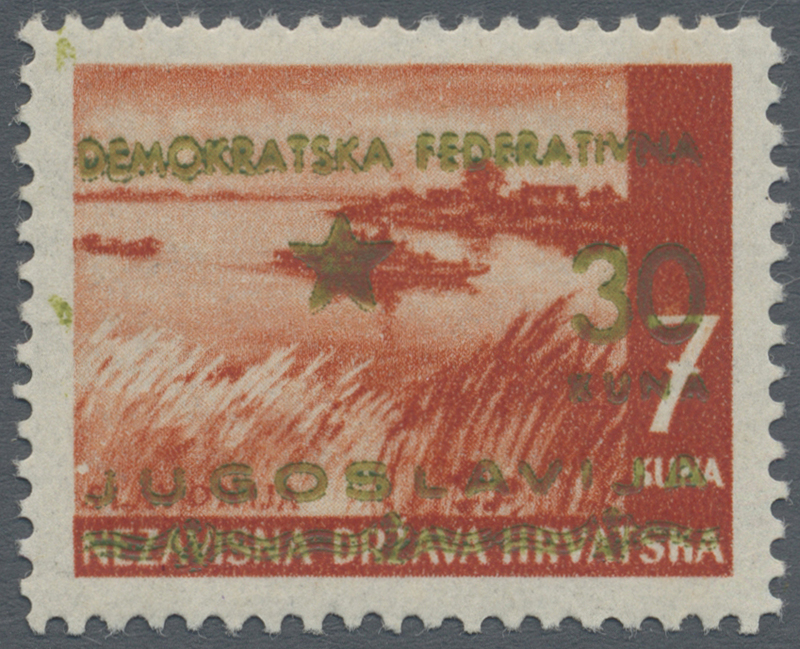 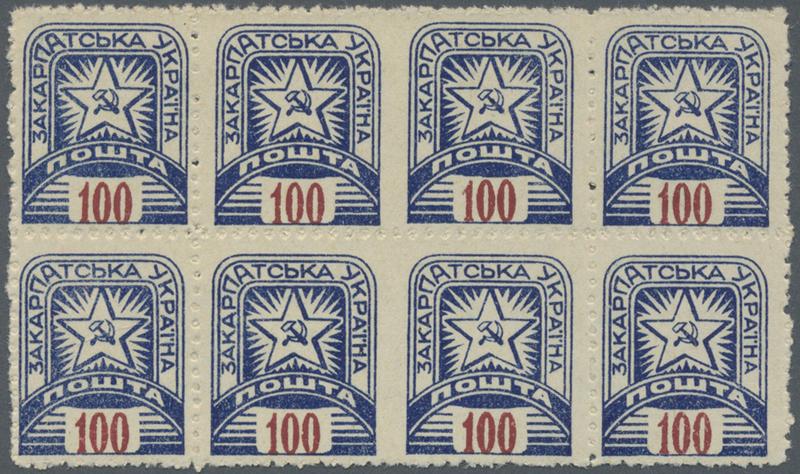 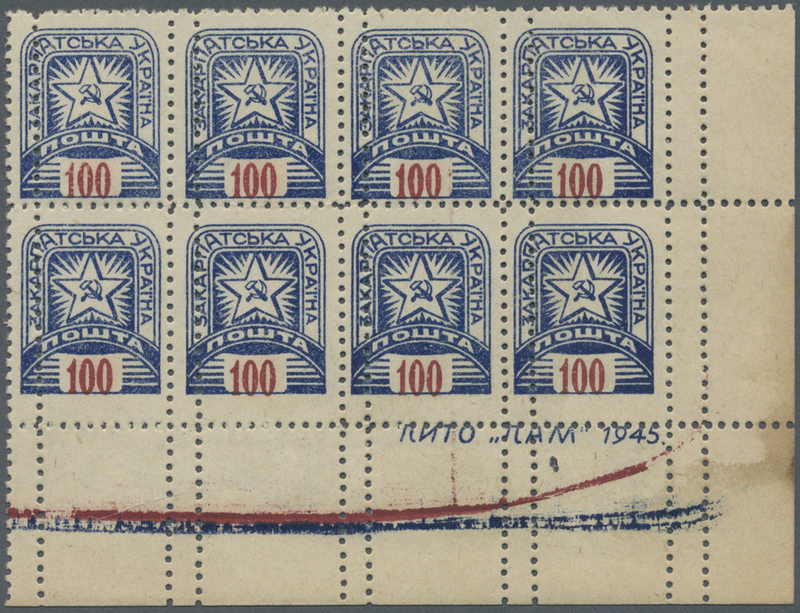 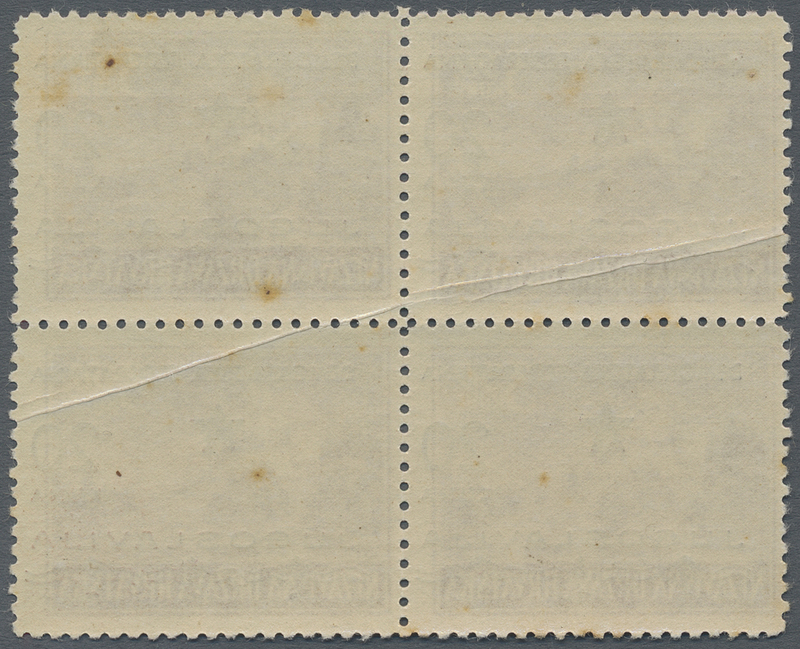 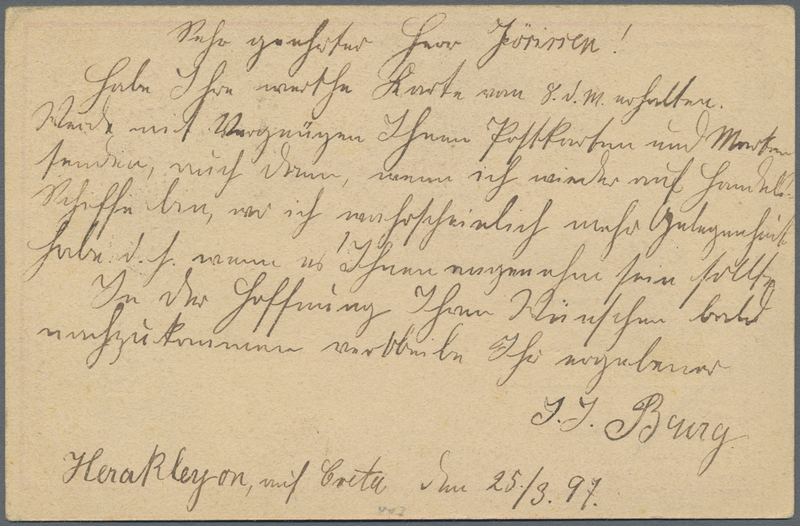 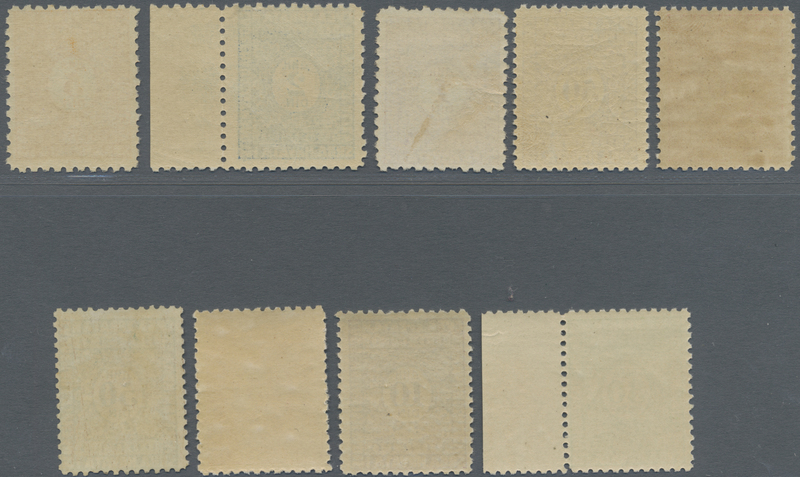 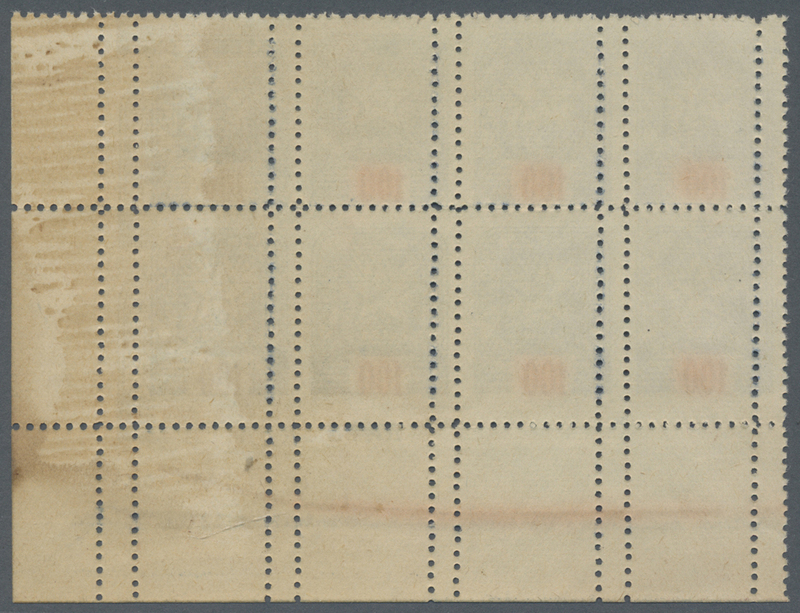 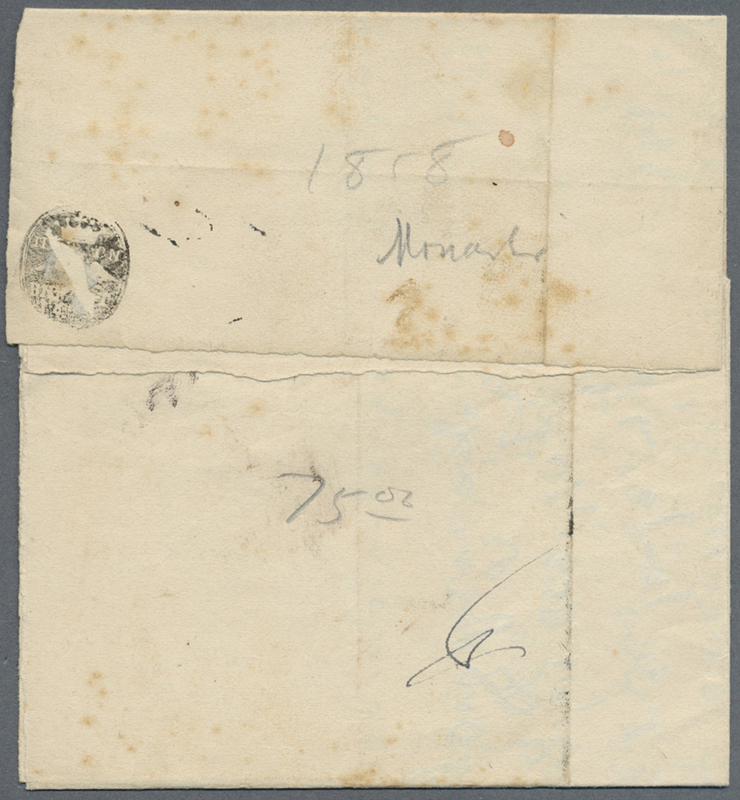 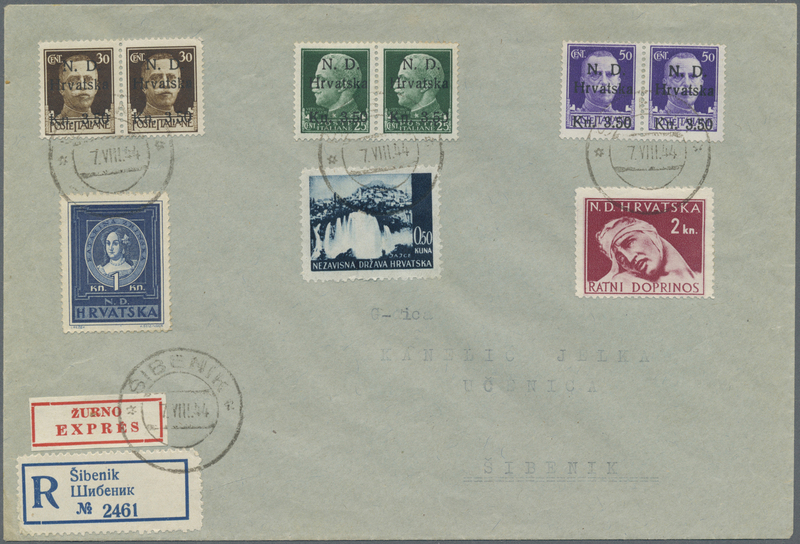 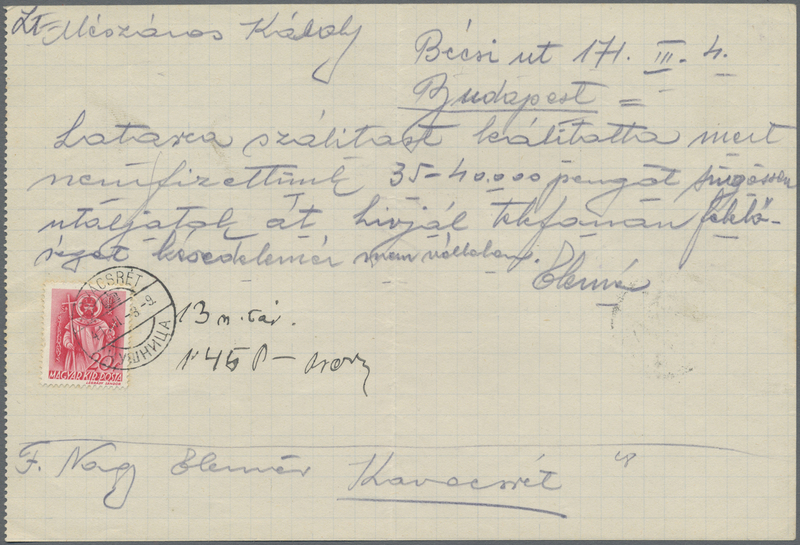 230) all in mint never hinged se-tenantly printed blocks of four ("Jugoslawija" in Roman and Cyrillic). 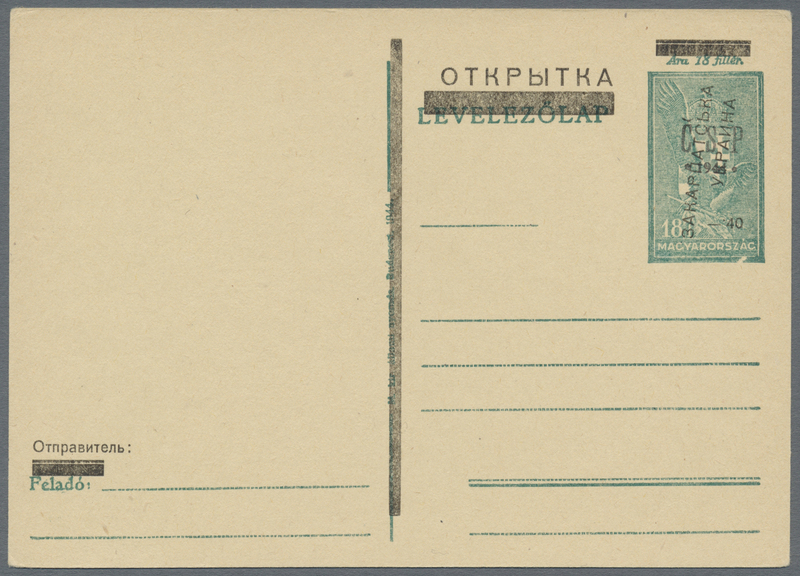 Seldom offered in this form.